Help Wilde Honda Feed the Hungry This Thanksgiving! 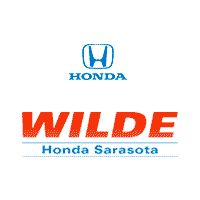 Starting November 6, Wilde Honda Sarasota will be accepting food for the Mayor’s Feed the Hungry Food Drive. You can bring any of your non-perishable food (canned food, ramen noodles, rice, etc.) to our dealership to drop off and even stay around to look at our awesome new inventory. At this time of the year, its important to be thankful for what we have and to be giving to those who have less.